Due to changes in some child health information services (CHIS), newborn screening providers need to be aware of potential problems with electronic birth notifications. This means that some records for new babies on the 3 newborn screening IT systems could show up in the wrong screening service. This blog explains the problem, what local actions are required and what the national team is doing about it. Child health information services (CHIS) maintain clinical care records of all children in an area. 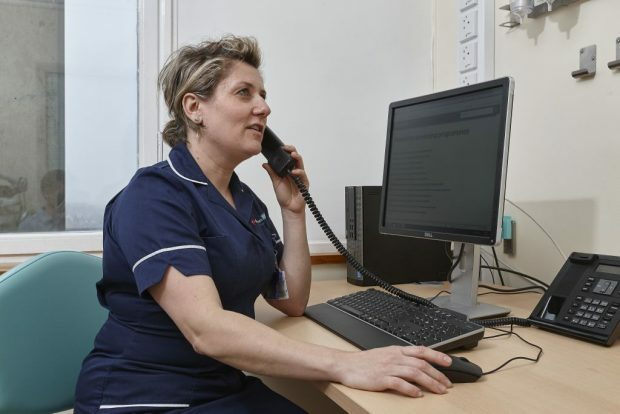 As a result of the reorganisation, screening teams may need to put extra measures in place to manage records within newborn screening IT systems. In England, when a baby is born, the new birth is registered by the maternity unit or child health department. Details of the baby are then sent automatically to the 3 newborn screening IT systems. Based on information in the birth notification, records are assigned to the local service/site responsible for screening that baby. Usually, the record contains information that identifies the responsible maternity service. This ensures that the correct screening team can view the record. However, if the baby was born at home, then the record only contains information about the local child health organisation. Child health organisations used to cover one local maternity service. It is now more common for organisations to cover more than one maternity unit/NHSP site and we are seeing the creation of large merged organisations, known as hubs. Some records, particularly the home births, cannot be accurately assigned to the provider responsible for the screen in those cases where only the child health organisation is known. They are instead mapped to the service provider nearest the child health organisation’s base. If this provider is not the service/site responsible for the baby’s screening, the system user will need to transfer the record to, and inform, the service responsible for screening the baby. This might cause a delay in screening if not dealt with on a daily basis. We are working with our national IT service supplier, Northgate Public Services, to develop an alternative method to assign records. This is a high priority but is a complex change that will take some time to implement. We’ll keep you informed about progress via the blog.